You host an exclusive fashion website and want to create awareness on Facebook about an upcoming sale amongst your target audience. What’s next? The answer is simple; do not follow commonly made mistakes mentioned below! It may seem like a cake walk, initially – put the copy (text), image and link together and voila! It’s done. Here’s the catch! Just when you think you are done is when you actually have to begin. Understanding the mindset of potential customers is of utmost importance. Which ad placed where will catch people’s attention and make them click on the link provided by you. The user would smoothly scroll through his homepage content and eventually miss out on your ad. The size, look and feel of the ad is exactly similar to any other update on the Facebook home page. Carousels are a type of news feed ads, but still, the difference persists. In carousel ads, you can upload multiple products, thus giving your audience some time to build an opinion about your products. Carousels give out more information with regards to the products, price and your business (through call-to-action). These are small ads with limited words and images. They appear on the Facebook homepage but more often than not, they go unnoticed. 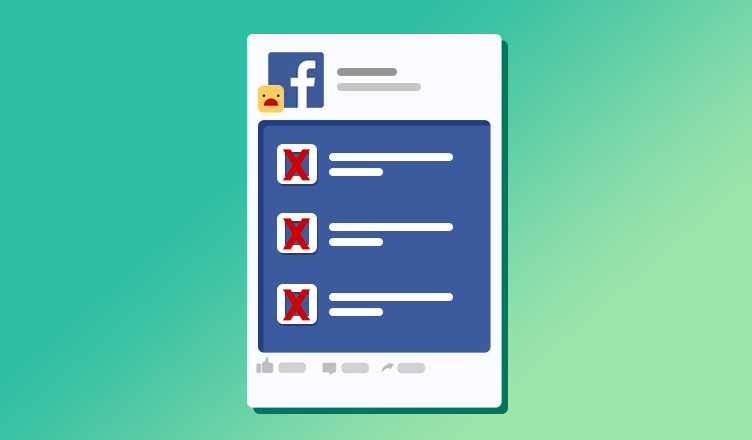 As per recent updates, Facebook has recognized the issue with right column ads and have certainly concluded that these ads will be revamped and transformed into a design more noticeable and profitable to advertisers. Since Facebook shook a $1Billion hand with Instagram to strengthen their friendship in 2012. 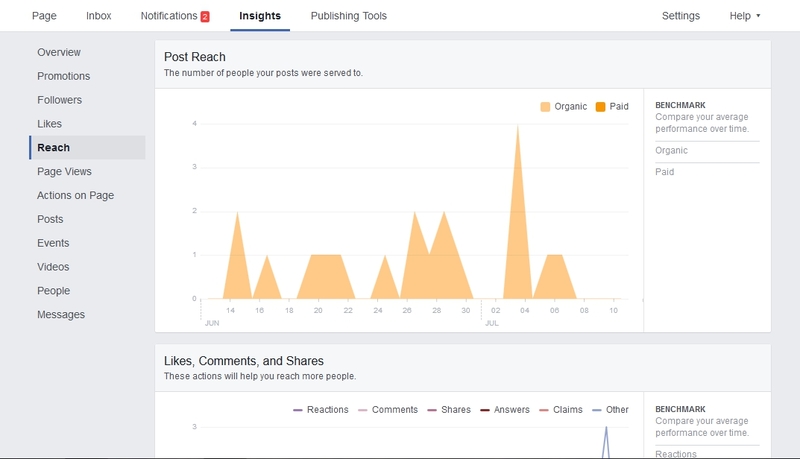 Instagram will pull data from your Facebook ads (copy, image, links). So, now you as an advertiser, can increase your reach manifolds by stretching your customer base to Instagram as well. The above are the usually used formats or placements of ads used by businesses to strike the cord with their potential customers or users. Be it for app installs, engagement or lead generation, They serve multiple purposes for both mobile and desktop. Past likes and so on. Hint: Targeting random audiences also reflects on your campaign costs, reach. Hence, to make the most of your budget and business, choose the correct audience which aptly fit into your strategic plan. Marketing on Facebook is all about picking the right segment and genre of viewers. For example, if you cater to sports category, targeting men is more advantageous to display your adverts and promote your product. Normal Retargeting – In simple words means winning back your former targets. With custom audience targeting, you can reach out to the ones who missed out on your ad – intentionally or otherwise. So, here you can upload your own customer database (email id, phone number, etc.) and target that particular segment. Dynamic Retargeting – Whereas in dynamic retargeting or remarketing, you have the liberty to advertise your products to your entire target market. Retargeting audiences or remarketing can be done easily using Facebook Pixel feature. 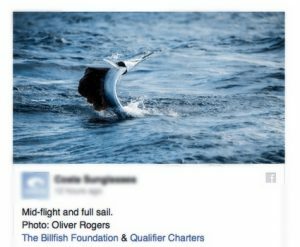 Advertising on Facebook is definitely pocket-friendly than any other traditional medium, but the catch here is to spend wisely. Many times due to lack of knowledge, advertisers spend a bomb in the first round of advertising itself, which may or may not result in their favor. Hint: Test your market first. It is not about doubting your audience targeting plan. It is about how your target audience is receiving the ad. Create 4-5 ads and run them at low cost at first. Understand and analyze the results and then go ahead with the ad which reached more people. This will help you save both time and efforts. Now, here the question arises: How to do keep a check on all of this? Just gain INSIGHTS! A sneak peek into an anonymous FB page insights. 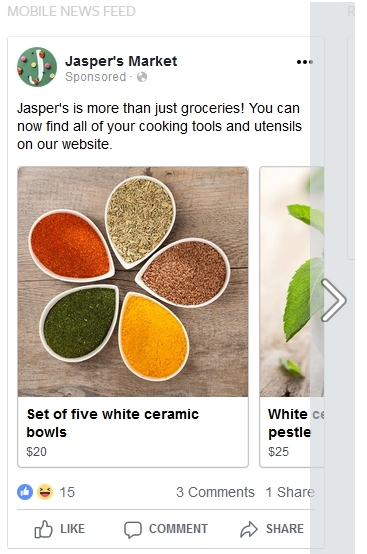 An image talks a thousand words, but the ad image or creative on Facebook is restricted to only 20% text on it in FB ads.This means if there is a sale, then not all information about the sale can be mentioned in the image. Often, due to exceeding word character limit in the entire ad, makes the ad look incomplete. Also, at times correct Call-to-Action buttons are not selected which confuses the audience as to what exactly you want them to do – ‘Shop now’ or ‘Like page’. Hint: A text and headline followed by a link to redirect your audience are essential. 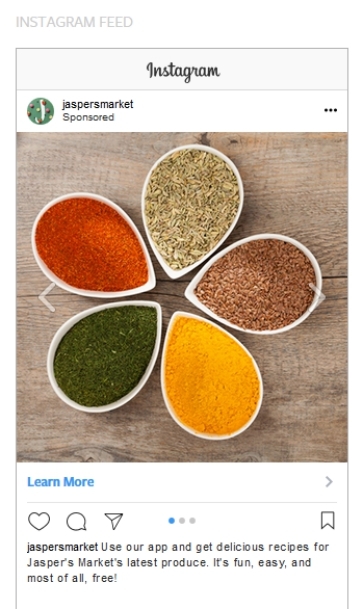 These ingredients will complete your ad. Yes, there is word character limit to the ad copy on Facebook. But what really matters beyond the copy character count is its relevance. A well-written will persuade the users to drop by your website and have a look at your products. Text to your ad. It is free of any character limits per se, but on the timeline, it will showcase only three lines or so and the rest of the text will be displayed under “Read More” title. 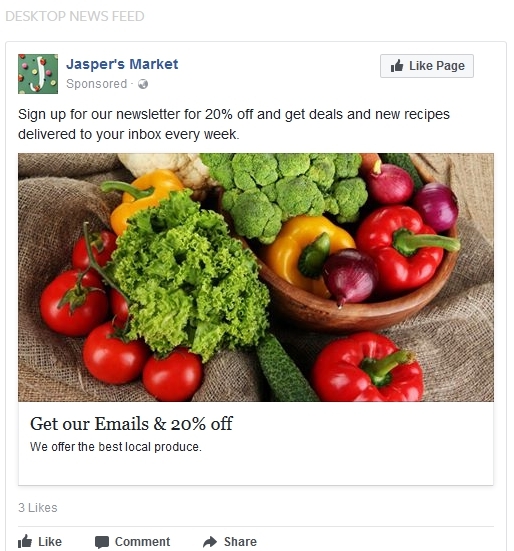 A headline in the ad like “Sell on Facebook” or “Facebook for Business” it appears bold so you can see what the ad is about. Link description is mentioned in small and doesn’t appear anywhere else except FB timeline. Write a beautiful description but, it is advisable to keep it short as, the leading social media site, will not show the full description. CTA is another thing which needs to relevant than best. If it is a “page like” campaign then, use the tab for ‘Like page’ only or if it is for “sale” then use ‘Shop now’. In this advertisement, neither the image nor the copy explains the purpose of the ad. Images are everything your that your audience feels connected and attracted to apart from your ad copy. Using irrelevant or low-resolution images turn off the audiences and hence result in low enagagement. Hint: Use relevant and high-quality pictures. 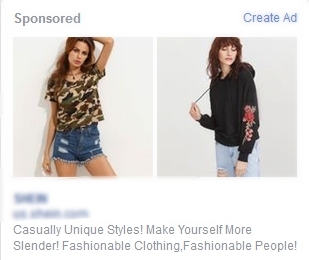 As mentioned above, a text-heavy image is ranked low Facebook thus reducing the reach of the ad. Less the text is better. 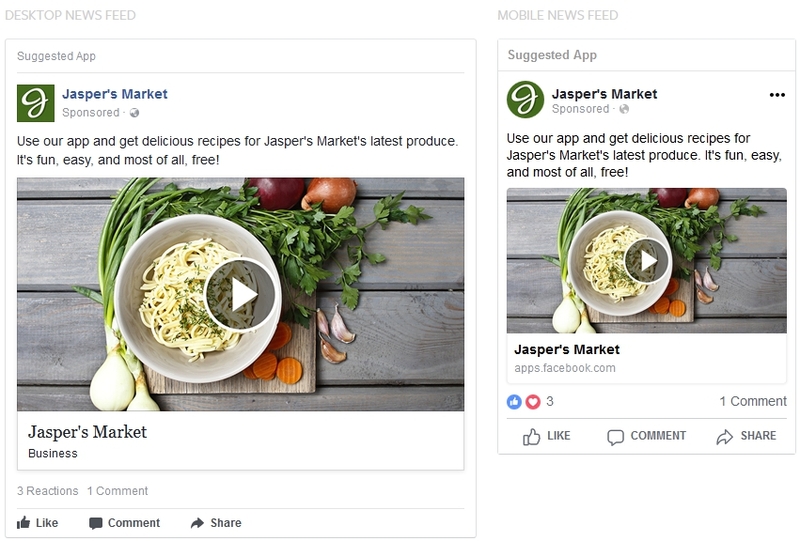 Facebook is moving towards dynamic content like video ads. Instead of placing all your ad with images, try putting up a video in one or two instead. Insights should be good! Instead of writing about your product or brand, ‘show’ your product to the people in a video format. This helps your audience know your product range better. Keeping the above-mentioned statistics, video adverts have higher recall and recognition value. This is a rare phenomenon, but it does exist. Advertiser, though by mistake, tend to link the link description with wrong landing page link, thus pushing the audiences onto irrelevant site by default. Hint: Accurate linking for redirecting your audiences to the correct page is of utmost importance. If you want your audience to be redirected to a correct landing page for registration (event, app, etc..) then make sure the link is functional. Facebook ads are one of the most powerful and cost-effective ways of reaching your audience. By avoiding some of the small mistakes like those above, their effectiveness can be significantly increased. 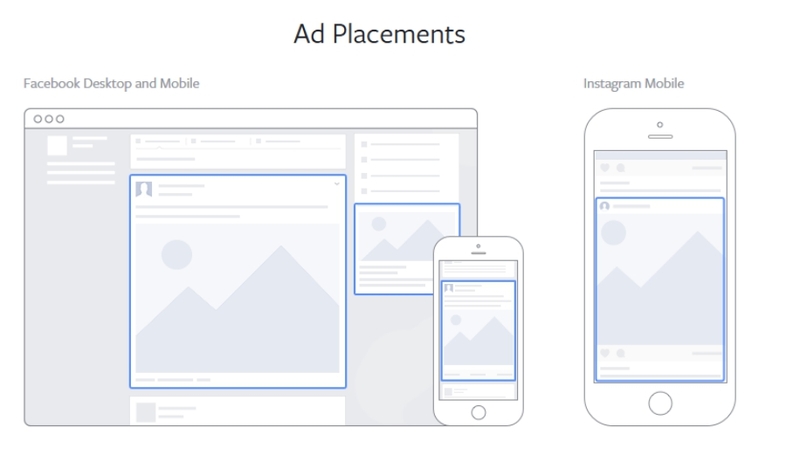 Now that you know how to build good adverts on Facebook, here’s what you should know next about optimizing facebook advertising .